Your family tree will be a reproducible memory that can be shared with family for generations to come – a family record, all in one place, a primary source of information that shows who is related to who and how. This information will include family trees and data, generation lists, biographies, and photos. 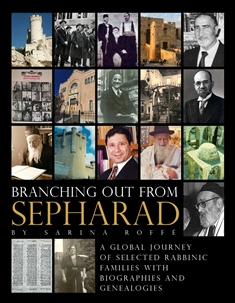 Sephardic Genealogical Journeys also has optional additions [link here] that can be provided at no charge. Your information can be made available in a format of your choice. Sephardic Genealogical Journeys will work with you and your family to identify ways [link to publishing] to share your information. For years to come, your family will cherish your family tree as the “go to” source for information.